The Mercedes 114 chassis automobile was manufactured from 1968 to 1976. In U.S. version they all had a single large round headlight with a large yellow turn signal/marker lens right below the sealed beam headlight bulb These â€œentry levelâ€ Mercedes were produced only in four door sedan and two door versions. The coupes only came with a 6 cylinder gas engine. The sedans were fitted with four and six cylinder gas engines . 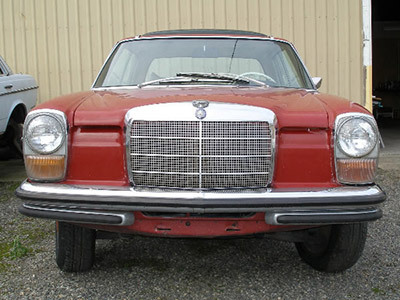 Mercedes 114 chassis owners praise the ride and handling and classic Mercedes styling. 1976 and older Mechanical Injection Pumps had their own oil supply.